I remember, vividly, reading my first book. The funny thing is that I don’t remember what the book was, or really even what it was about. What’s vivid are the emotions of it, the pure thrill of realizing what I was doing, what I had done, what I could do. I’m sure there was a boy. And a kite. The book had pictures. I seem to recall a tree and a hill and a kite and a boy. I realize now, after countless children’s books, that I am describing many, many books. The sun was shining in my window, or maybe it wasn’t. I remember working at a word, working to sound it out, and make sense of it. I remember leaping up, and running downstairs to tell my mom, my dad, really anyone who would listen, that I had read another word! A new word! This all came back to me as I helped my son with his homework, and watched him sound out words, feeling those letter sounds roll around in his mouth, all stretched out and funny at first, but then snapping into place. The small, and then the big, grin on his face when he realized what he’d done. All those old feelings came rushing back, and I remembered again what it was like to read for the first time. On thinking on it again, I realize that many of the details are missing. Was I reading out loud? Or in my head? Was it cold? Or warm? Was it the winter or the spring? I don’t remember even liking the book, exactly. It wasn’t until later that I became a Reader with likes and dislikes, genre loyalties, and snooty dismissals. It was that moment, when I read my first book, and a whole new world opened up for me. There was something pure about it, a kind of joy in it, like the kind CS Lewis describes. Ever since, through all my life, I have read and read and read, always searching for that kind of feeling. A kind of reaching after a luminous sort of thing that mostly dances out of reach. I’ve been told that I always loved being read to, and family story goes that I once (more than once?) put a book on top of my sister’s head while she was nursing, saying “Read to me!” I can believe it. But once I could read on my own, once I could get a direct line at those books myself, well, is it any wonder that the library became my favorite place to be. A lifetime of reading, and it all started with that one book. So thank you, Somebody! Thank you for writing that first book I ever read, even if I don’t know who you are, or even the name of the book you wrote. 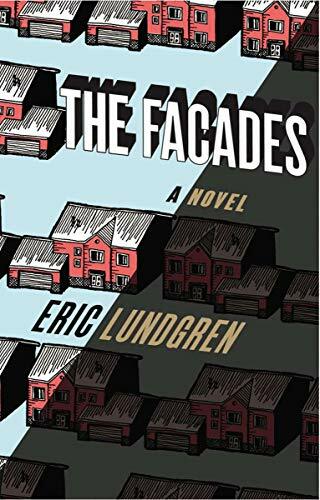 A few days ago, I finished the deliciously sad and gloomy (and funny) THE FACADES by my old college pal, Eric Lundgren. It packs more into its relatively short length than novels two or three times its length. There were times when I had to set the book down and take a break, because my brain was just too full of beautifully crafted sentences, images, and ideas. Imagine, if you will, a yellow sign of a person working.